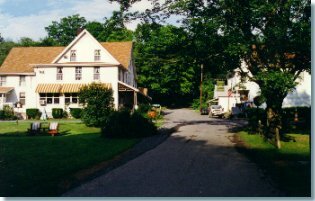 Located in the small picture postcard village of Cedar Run along the banks of crystal clear Pine Creek - here in the heart of the Grand Canyon of Pennsylvania - our inn offers a slower pace of life. Built in 1891, Cedar Run Inn contains many original antiques and features like the tin ceilings that have been retained throughout the years. The unexpected but unique feature of creative cuisine in a fine dining informal country atmosphere plus a generous complement of wine and spirits will make your dining experience a special one to cherish.